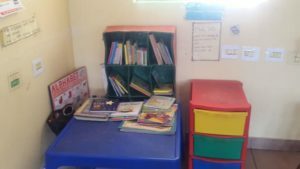 Biblionef has provided much-needed resources to 100 Early Childhood Development (ECD) Centres in 4 Provinces throughout the country. These Provinces includes the Western Cape, Northern Cape, Limpopo and Mpumalanga. 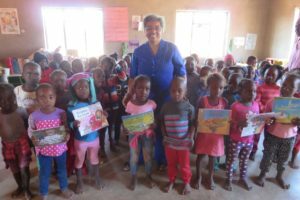 With funding from the National Lotteries Commission (NLC), we were able to provide the 100 ECD Centres with a total of 4 325 storybooks and 1 000 educational toys, puzzles and posters. 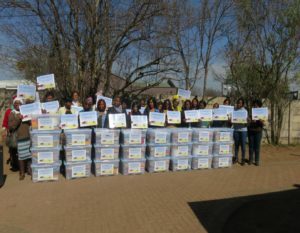 The storybooks donated were in the children’s mother tongue which included Setswana, isiXhosa, Sepedi, isiZulu and Afrikaans. 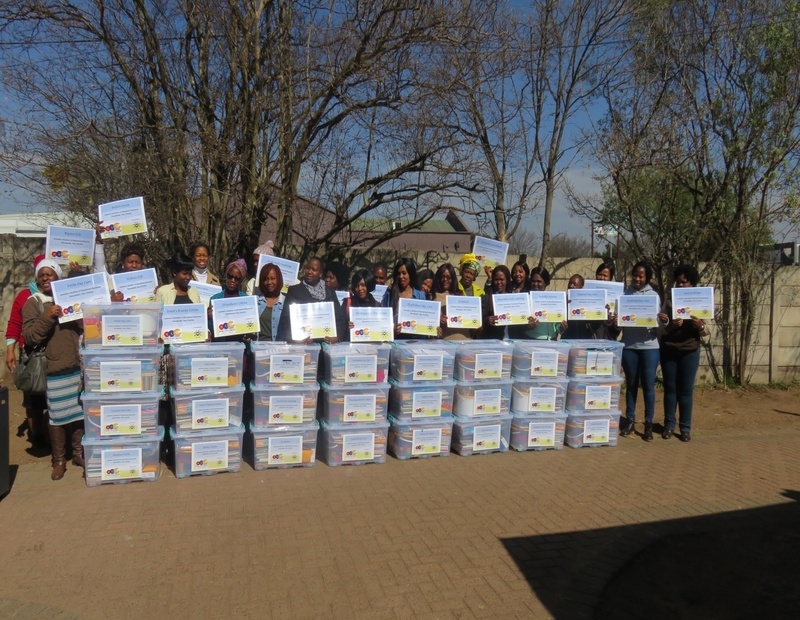 While handing over the resources to the Centres and hosting the workshops on how to use the donation, the practitioners were extremely thrilled about having new resources to use in their classrooms. 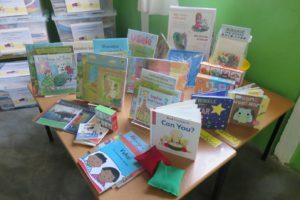 Although the teachers had seen books before in their home language, the variety and quality of the books donated by Biblionef really amazed them. The practitioners anticipated that the colourful pictures would captivate their children and help them with interpreting pictures. There was a great appreciation of the way our Project Assistants demonstrated storytelling and explained how it is a key element in getting children to enjoy reading. 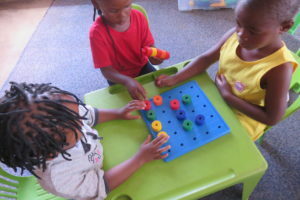 The Project Assistants also explained how important educational toys are and how it can be used as a development tool through play. 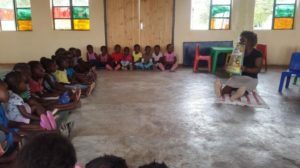 The practitioners left the handover with a better understanding of how important play and storytelling is for young children. Biblionef made sure that ample support was given to the practitioners once they received the donation. 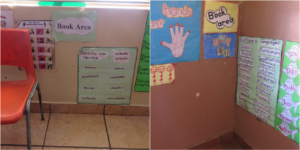 This was to ensure that they would be comfortable with using the resources in their classroom. 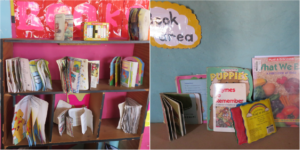 Six months after donating the books to the Centres, Biblionef’s Project Assistants returned to the Centres to observe how they were coping with the resources provided. 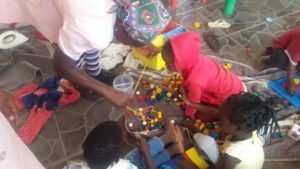 It warmed our hearts to see that the practitioners were making use of the resources and that the children are without a doubt benefitting from it. 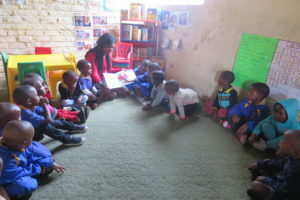 Their listening skills are developing as they are listening intently to story time and they are slowly starting to interpret the pictures they see in the books. 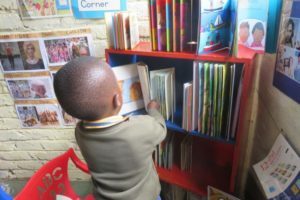 The Centres’ shelves are now filled with colourful storybooks in the children’s mother tongue language which is a great contrast from what their shelves looked like during our first visits, i.e. empty or containing old, tattered books. What an amazing sight that was! Had it not been for the funding granted by the NLC, 5 762 children would not have benefited from this wonderful project. ← Previous Previous post: Do you have or know someone with a visually impaired child? Continue reading!